For nearly 100 years, the American Cancer Society has been a comforting presence in nearly every community across the country, offering programs and support to help guide people facing breast cancer through every part their cancer experience. 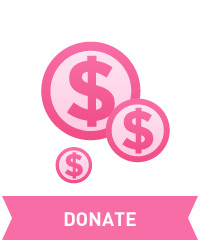 We are proud that money raised from the Making Strides Against Breast Cancer events help the American Cancer Society provide free breast cancer programs and resources to women and their families. Below are a few programs we offer for people facing breast cancer. Availability may vary by location. For over 30 years, the American Cancer Society has connected women newly diagnosed with breast cancer to trained breast cancer survivors who have “been there” through our Reach To Recovery® program. These dedicated volunteers already understand the physical and mental challenges, as well as the positive milestones, associated with the disease, and they help women and men cope with every step of their breast cancer experience. Reach To Recovery volunteers give women and family members an opportunity to express feelings, talk about fears and concerns, and ask questions. 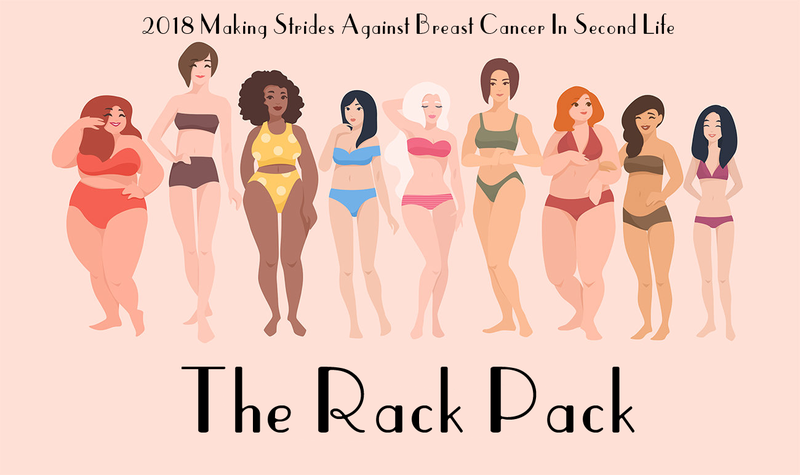 Most importantly, they offer understanding, support, and hope because they have survived breast cancer and have gone on to live fulfilling, productive lives. Click here to learn more about the American Cancer Society Reach To Recovery® program and to see if one is available in your area. Learning how to navigate the cancer experience and the health care system can be overwhelming for anyone, but it is particularly difficult for those who have limited access to health care, those who experience language barriers, or those with limited resources. The American Cancer Society Patient Navigator Program is designed to reach those most in need. As the largest oncology-focused patient navigator program in the country, the Society has specially trained patient navigators at 140 cancer treatment facilities across the nation. Patient navigators work in cooperation with these facilities’ staff to connect patients with information, resources, and support to decrease barriers and ultimately to improve health outcomes. The Society collaborates with a variety of organizations, including the National Cancer Institute’s Center to Reduce Cancer Health Disparities, the Center for Medicare and Medicaid Services, numerous cancer treatment centers, and others to implement and evaluate this program. Learn more about how Patient Navigators help patients manage their care here. Cancer patients cite transportation to and from treatment as a critical need, second only to direct financial assistance. Through its Road To Recovery® program, the American Cancer Society matches cancer patients with specially trained volunteer drivers. This program offers patients an additional key benefit of companionship and moral support during the drive to medical appointments. The Society’s transportation grants program allows hospitals and community organizations to apply for resources to administer their own transportation programs. In some areas, primarily where Road To Recovery® programs are difficult to sustain, the Society provides transportation assistance to patients or their drivers via pre-paid gas cards to help defray costs associated with transportation to treatment. Learn more about the Road To Recovery® program or volunteer to be a driver here. When someone diagnosed with cancer must travel far from home for the best treatment, where to stay and how to afford accommodations are immediate concerns and can sometimes affect treatment decisions. American Cancer Society Hope Lodge® facilities provide free, home-like, temporary lodging for patients and their caregivers close to treatment centers, thereby easing the emotional and financial burden of finding affordable lodging. The American Cancer Society Cancer Survivors Network® is an online community of cancer survivors, caregivers, families, friends, and anyone who has been touched by cancer and would like to share their experience, strength, and hope. This noncommercial Web site provides a private, secure way to find and communicate with others who share similar interests and experiences. You control access to your personal information, such as your email address. The Cancer Survivors Network was created by and for those who have experienced cancer firsthand in the hope that, together, we will all find strength and inspiration from sharing our personal stories and expressions of hope. Click here for more information about the American Cancer Society Cancer Survivors Network. To learn more about the many programs the American Cancer Society offers to help women and men with breast cancer focus on getting well, and to find programs available in your area, please visit cancer.org/breast cancer or call us at 1-800-227-2345, anytime, day or night.